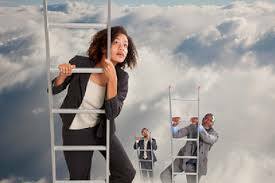 Many have tried to climb the corporate ladder and seek promotions as much as they can. Some have succeeded and enjoy the gratification and privileges that may come with their position. The Bible has nothing to say against anyone who seeks a promotion or higher position. It does say, “For exaltation comes neither from the east nor from the west nor from the south. But God is the Judge: He puts down one, and exalts another (Psalm 75:6,7). The funny thing is that God, not being a respecter of persons, holds everybody accountable to the same standard … He has the same expectation of us whether we are the boss or not. (MM) Consider: “And masters, do the same things to them, and give up threatening, knowing that both their Master and yours is in heaven, and there is no partiality with Him” (Ephesians 6:9). This thought was written by Monix Mathieu, FCAP Leadership and Group Development.